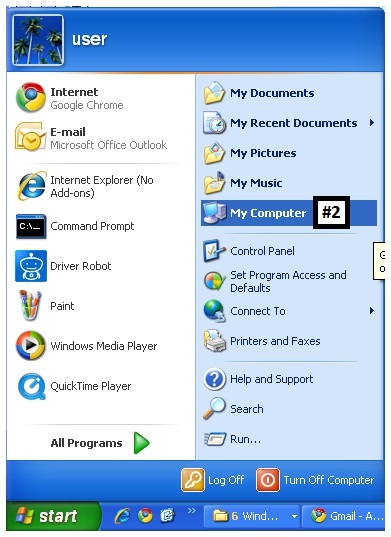 My Computer as is known in Windows® XP, or Computer as is known in Windows® Vista or 7, is a location which contains the C:\ drive, DVD-ROM and USB flash Drives. To get to My Computer just click Start -> #2 and on the right hand side in the middle it should be My Computer or Computer, depending if you have Windows® 7, Vista or XP. To browse My Computer just click the icon and you should see something similar with the picture in page 16. In the next image you will find a Windows® XP Start Menu. 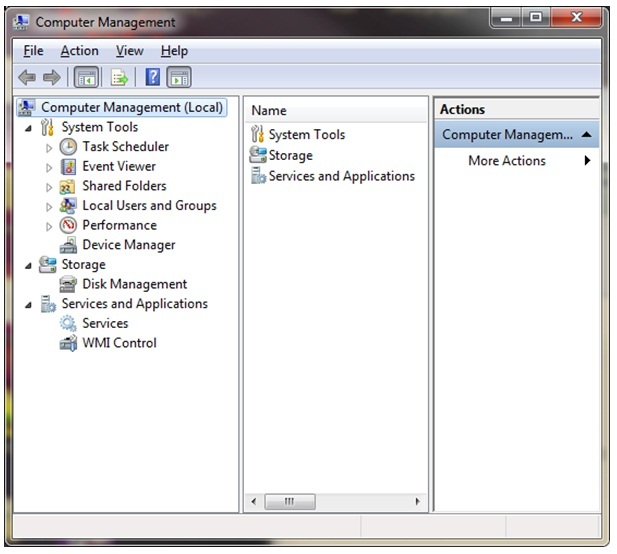 If you right click on the computer icon and select mange, the Computer Management Console will start. This can also be RUN as compmgmt.msc from the Run dialog box. You can find this out in the next lesson. Above you can see the Computer Management console, here you can mange many aspects of your computer. You can manage user accounts, devices and settings. 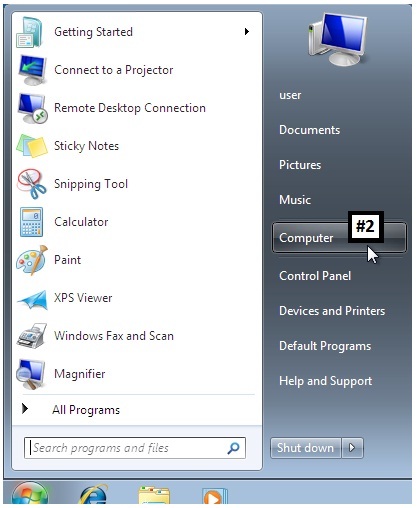 All computer services can be managed from this window. 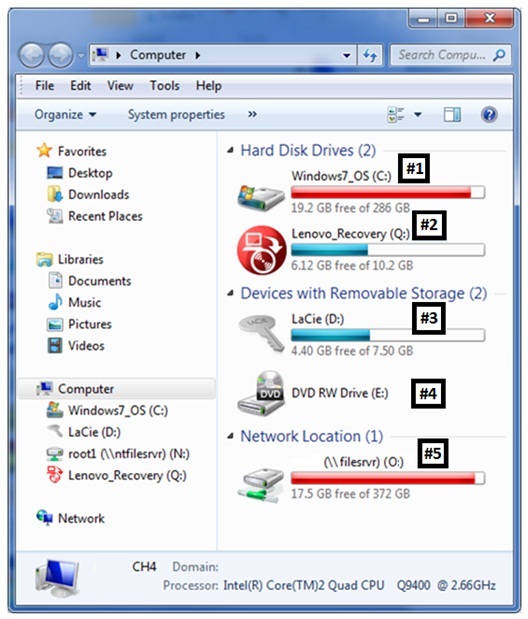 You can manage your disks from Disk Management Snap-in. And you can view the events or errors in Event Viewer – (useful in troubleshooting). You should use computer management with caution since you can render your computer unusable, if you don’t know what you’re doing. 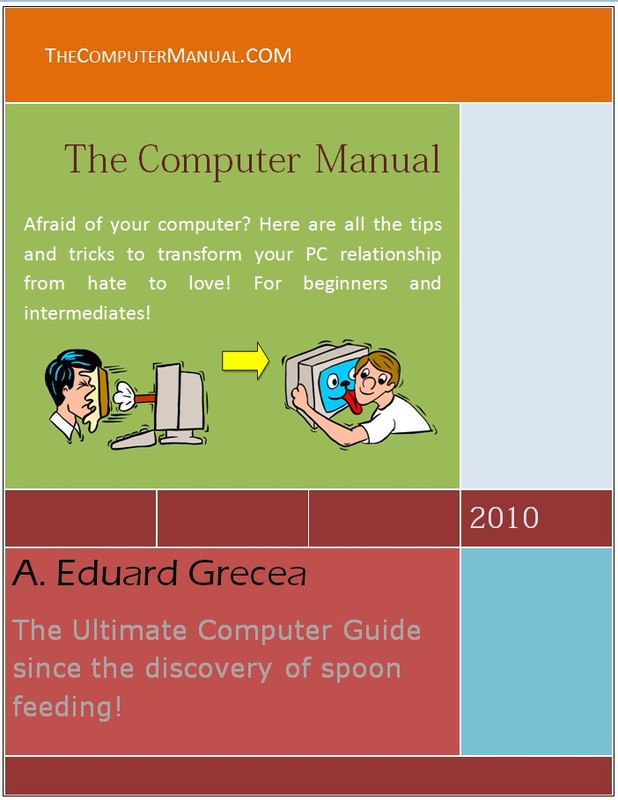 This tool is used throughout this book and you will learn how to use it properly throughout the book.